Welcome back to another instalment of #Canada150 recipes. 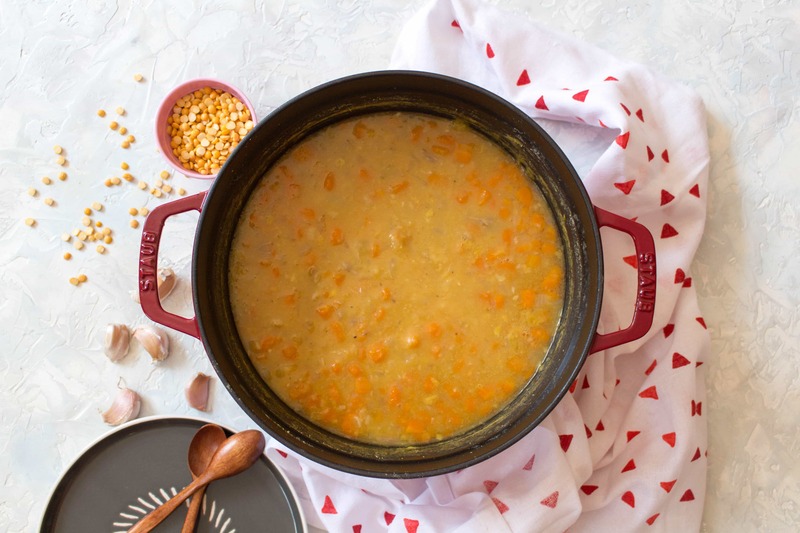 Today we’re talking about the traditional Québécois pea soup! Okay, this soup is old. And by old, I mean old. How old? 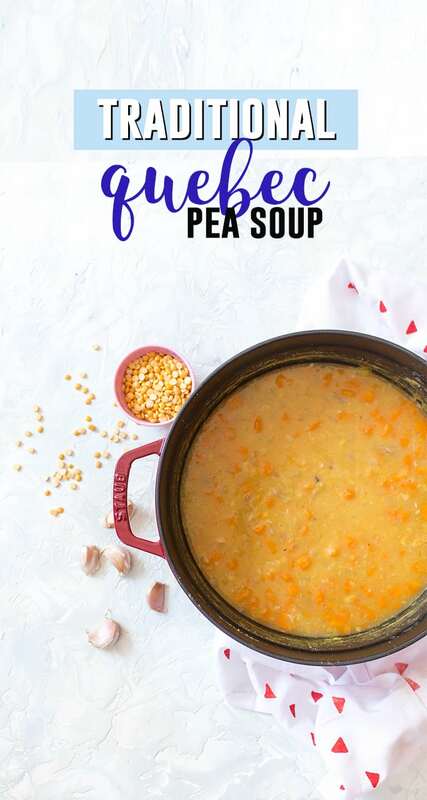 Well the roots of the Quebec pea soup can be traced back to cargo carried by Champlain. French explorer Samuel de Champlain, the founder of the New France settlement. A man of many hats, Champlain was a navigator, cartographer, draftsman, soldier, explorer, geographer, ethnologist, diplomat, and chronicler. According to Chef Marc Miron, “When they came to Canada, they didn’t know what to expect so they loaded up their boats with dry beans, cured meats and salted fish; ingredients that would travel well and were nourishing.” Dry beans and cured meats? Hmmmmm, that seems to be the base of the pea soup doesn’t it?! 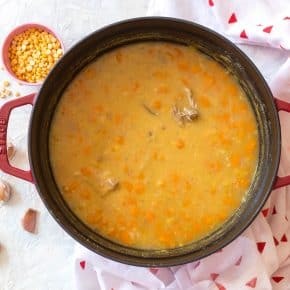 Traditional Quebec pea soup generally consists of dried yellow peas, cubes of salted pork, carrots simmered in water, seasoned with a bay leaf, oh and lard, lots and lots of lard. Fun fact: lard (or animal fat) was much more available to the settlers in New France and much less expensive than imported olive oil. The Canadian Museum of History states that in households from Québec through the Richelieu Valley to Montréal, the consumption rate for lard was five times that of butter. The colonists of New France raised pigs more for the fat than the meat! The salted pork has its source in French cuisine and in first nations preservation methods. Peas were a classic ingredient in many foods eaten by North American settlers as they were easy to dry, store and ship across the ocean from Europe. Vegetables such as peas, beans, onions, carrots and cucumbers were grown and then they were kept in the root cellar for the winter. 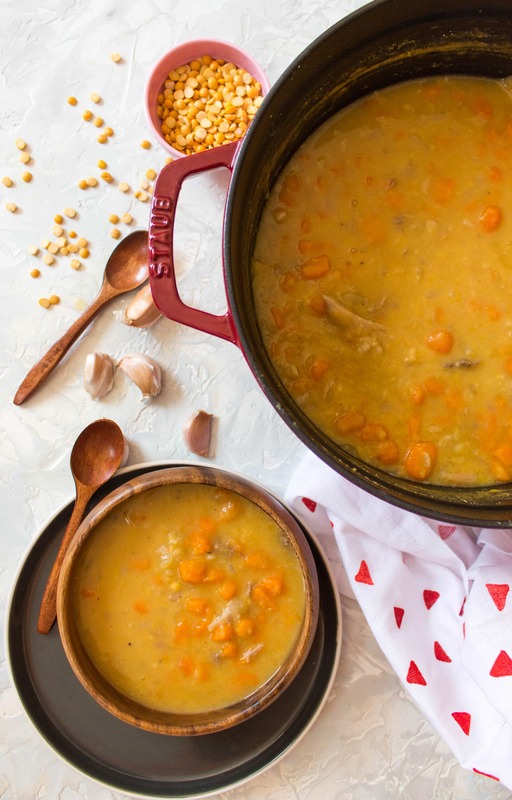 People could always rely on soup are filling, nourishing, and warming in the winter made from all of the most common vegetables. Since I don’t have lard, for my version of Québécois Pea Soup (adapted from Canadian Living) I just use butter and stuck to the core ingredients. 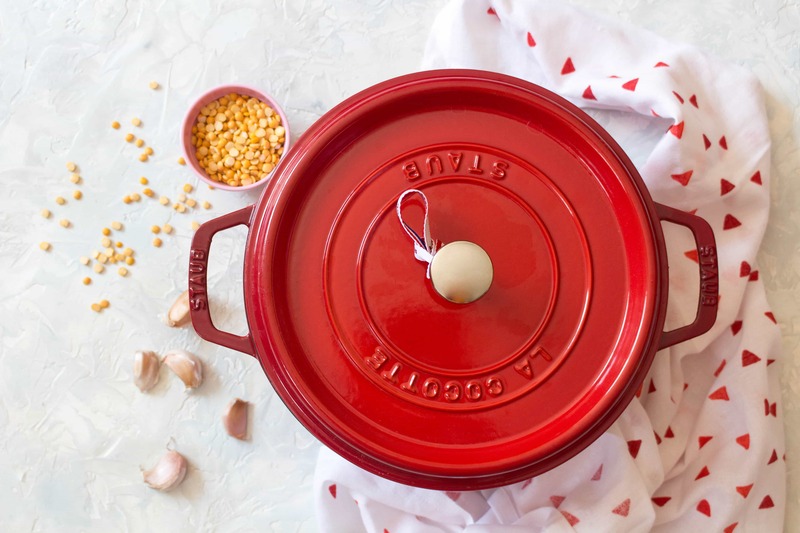 I’m using the 5.2L Staub Round Cocotte (aka French Oven – a french oven for a french soup lol) to make my Québécois Pea Soup. I personally found removing the skin and fat from the ham hock to be the most difficult. Trim off and discard skin from ham hock; set hock aside. 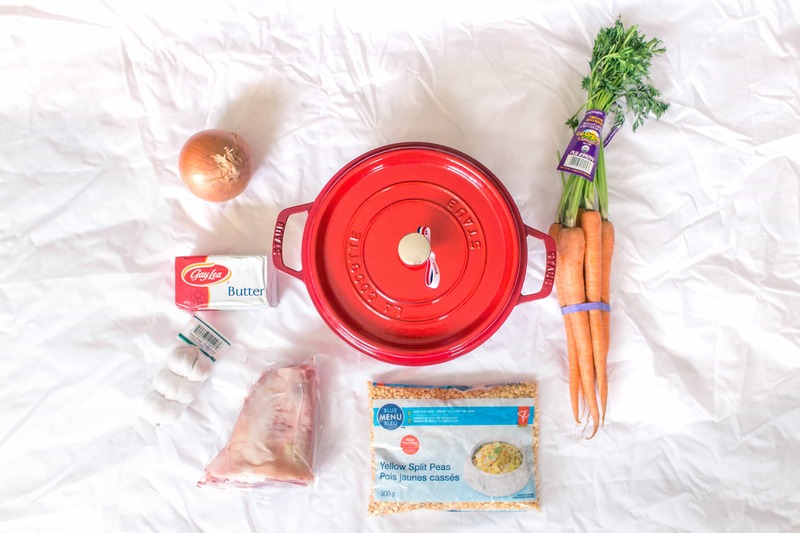 In large dutch/french oven, melt butter over medium heat; cook carrots, onion and garlic, stirring occasionally, 10-15 minutes or until it has softened. Stir in split peas, bay leaves, salt and pepper; cook, stirring for a minute. Stir in 8 cups water before adding your ham hock. Don't be like me and accidentally drop it causing a splash. Bring to everything to a boil before reducing the heat then cover and simmer, stirring occasionally for 2 hours. Peas should soften and soup thickened. Take out the bay leaves to toss and place aside the ham hock. Once cooled, remove the meat from the bone, discarding bone and any fat, and return the meat back to soup. Heat through again and then serve. Don't have ham hock? Try a turkey leg! Want a smokey flavour? Used smoked ham hock/smoked turkey leg instead of unsmoked ham hock. Let’s Chat! What’s your favourite traditional soup?? I love a good Canadian history lesson. This soups looks soooo good. Thanks for the recipe! Cool history with this one! I made the soup yesterday and really enjoyed it. Great recipe!